There’s a very good chance this song might be stuck in my head now — quite apropos for the long weekend ahead, no? Which reminds me, happy (almost) weekend, friends! 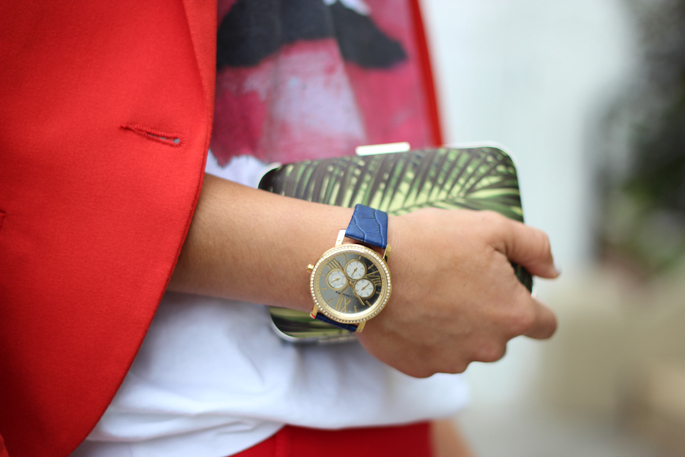 Loving this red combo – very chic!! um… this is AMAZING! love the lips. love the necklace. love the red. 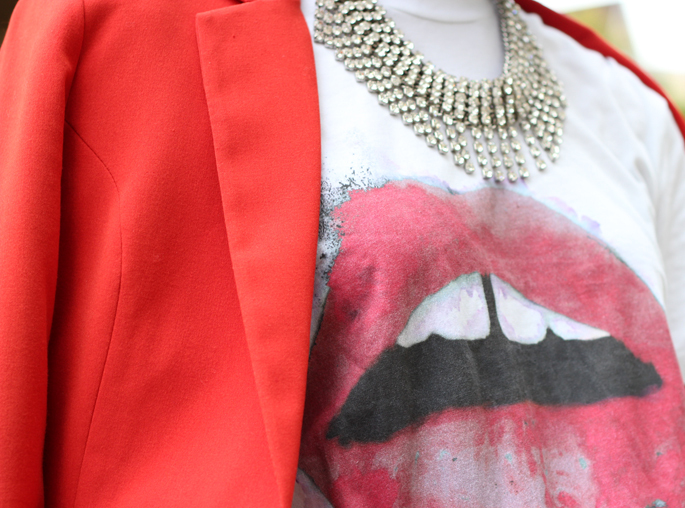 Love the red suit and graphic tee – so great! WOW! Those reds go together perfectly even though they are different brands! 🙂 Gorgeous look! SUCH a fun combo! that's it…i officially need a fun graphic tee.